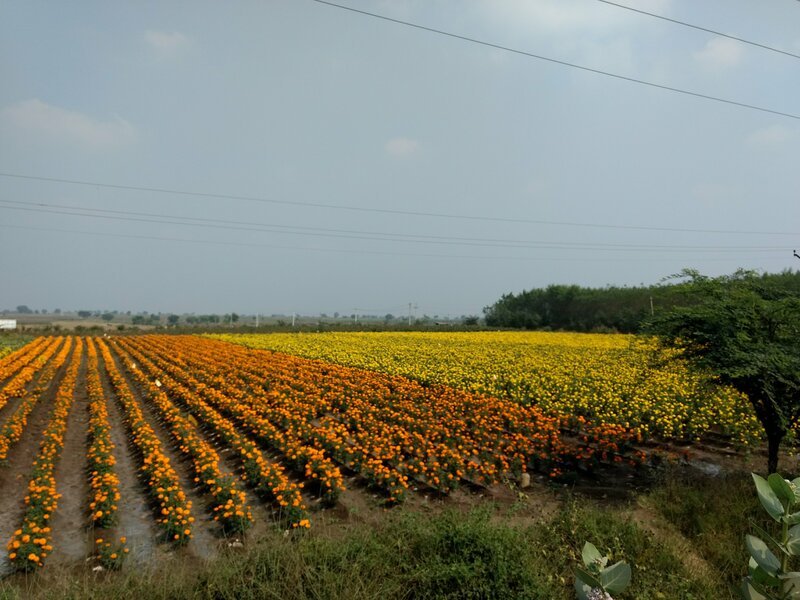 Time for my yearly sojourn to Granny’s village near Kavali. From 23 Dec 2017 to 27 Dec 2017. 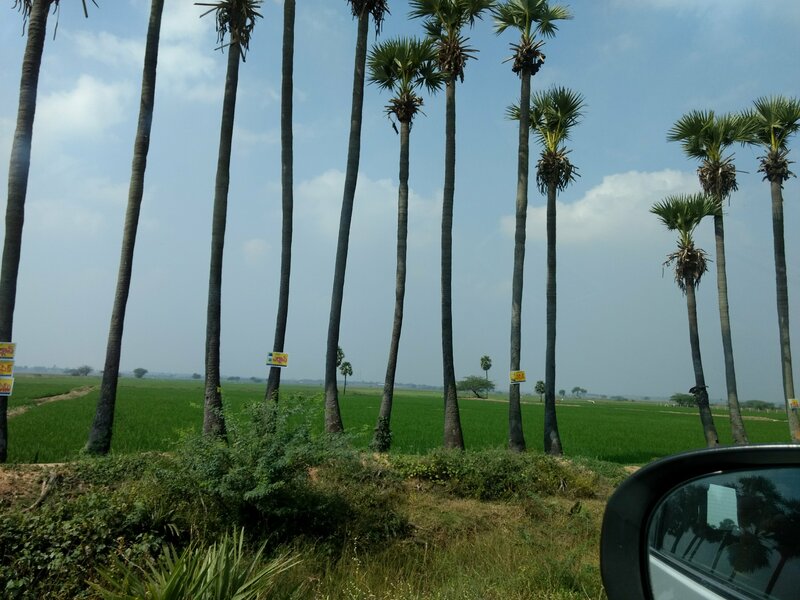 Drove from Hyderabad to Kavali via Nalgonda-Narsaraopet-Chilakaluripet-Ongole. Started at 7am and planned to have breakfast at Village Aharam , an organic restaurant which is around 20km after exiting the ORR. We saw huge crowds and so decided to go to NGrill resto which is 50km from the ORR. This was equally crowded and had to wait for a table. 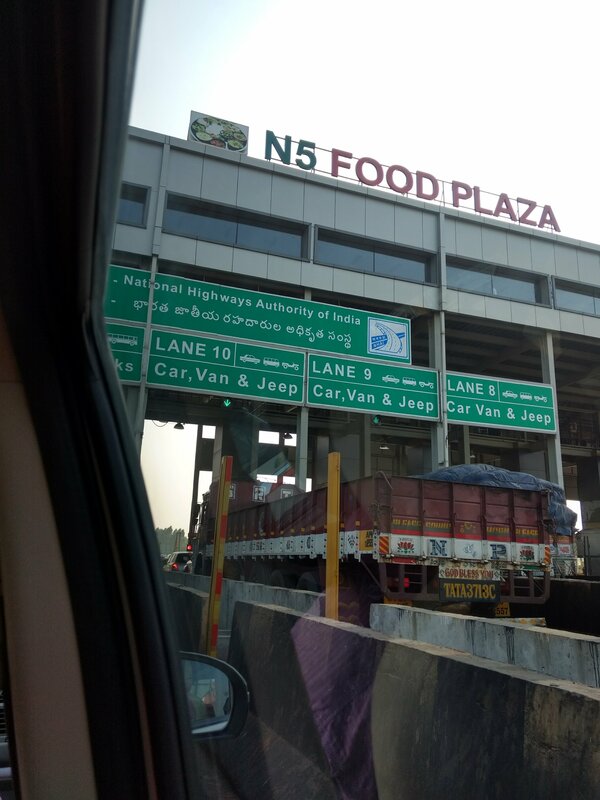 This stretch is a busy one , with lots of people driving between Hyderabad and Vijayawada and prefer to have breakfast in one of these places. Stopped for lunch after crossing Narasaraopet . Found a kachcha road on the left and parked under a tree. 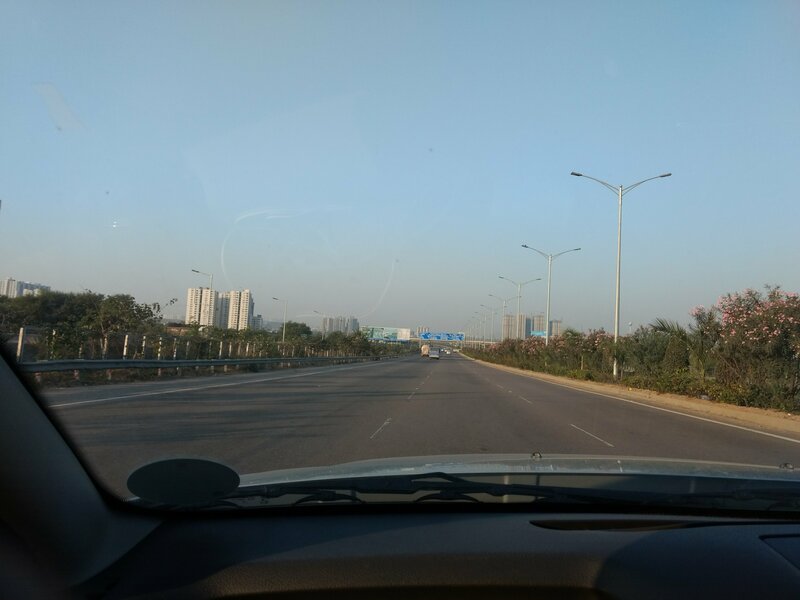 A pleasant drive with all the greenery and great weather. 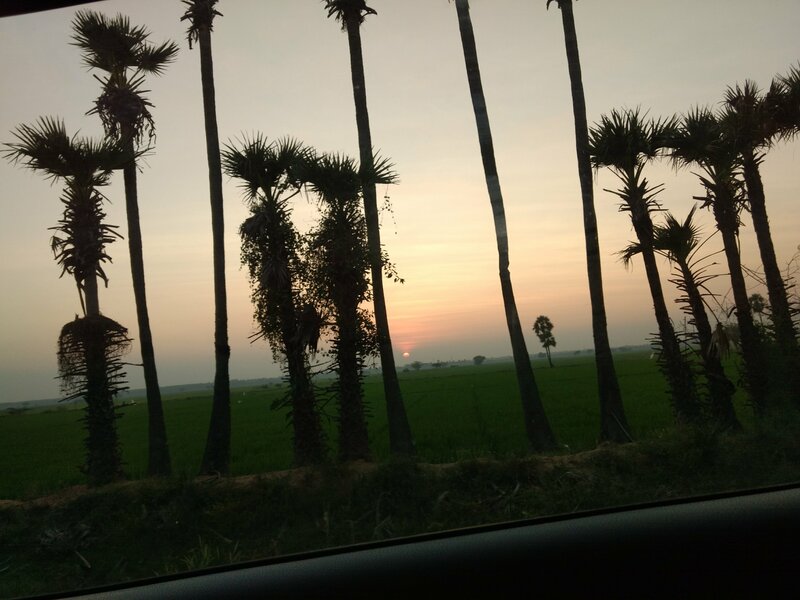 This time of the year is beautiful for travelling by road. Excellent roads especially the stretch from Chilakaluripet to Kavali which is part of the National Quadrilateral. It is an 8 lane express highway , maintained beautifully and is as good as any interstate highway in the USA and other developed countries. Thanks to our erstwhile Prime Minister Mr Atal Bihari Vajpayee , we are able to drive on such roads in India. We drove through a variety of fields . 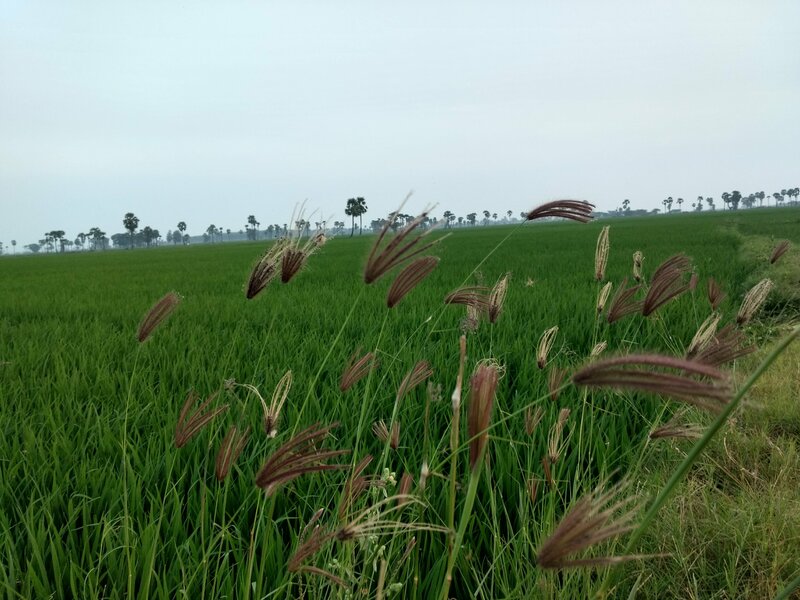 It is the season for various crops like Chilli , Cotton , Tobacco and Paddy during this time of the year. Reached Kavali by 4pm. A non-stop drive would take 7 hours. Life in a village is like life on another planet . They have their own set of joys and challenges. 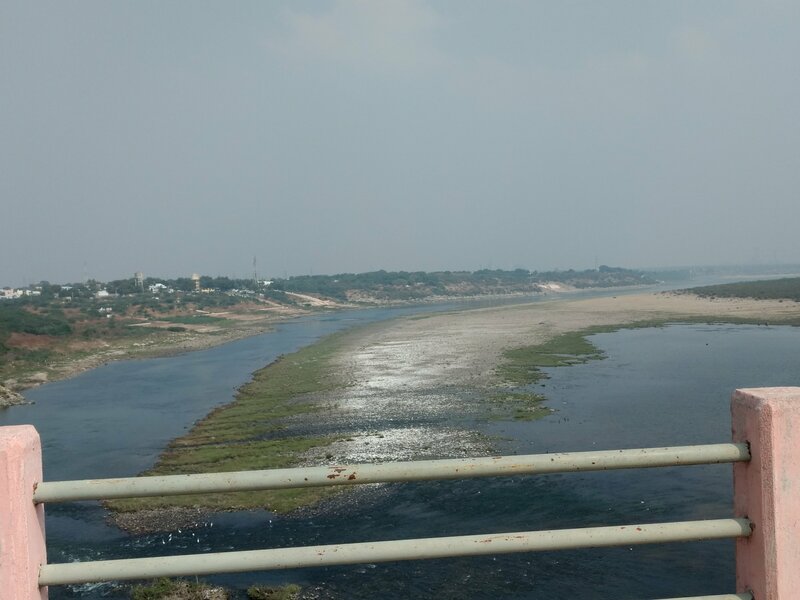 The Krishna river near Miryalaguda. The left bank of the river is in Telangana and the right bank is in Andhra Pradesh. There is a Restaurant above this Toll gate. 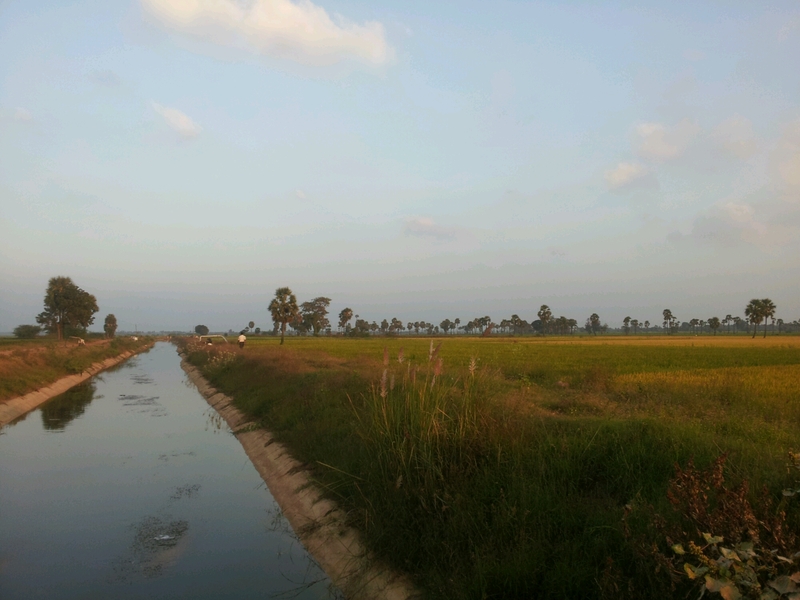 Spent a few days in our village which is 5km from the Bay of Bengal. The population in the village is around 500 . Each time I visit , I see a few developments in the village . One of the road leading to the village is being widened as a small harbour is being developed around this part of the ocean . Lots of Autos in the village now . The erstwhile Bus has been stopped due to increase in the number of Autos. A water tanker supplies water to every house in the village for washing/cleaning purposes. There are no water supply yet, though pipelines have been laid. Filtered drinking water is also supplied in 20 liter plastic drums from a water treatment plant for a decent price. The underground water in this area is salty and not fit for drinking. There is just one well on the outskirts of the village which has sweet water. One of them in the village has bought a Car and an Air Conditioner. The first signs of urbanisation in the village 🙂 Sign of prosperity . Recently TTD has started construction of a Rama temple in the village. Smartphones are being used to check weather conditions , levels of water in the surrounding lakes as the irrigiation is through canals . They also check information about government schemes. Enjoyed fresh unpolluted air and fresh food. Started back on the 5th day at 9am and reached Hyderabad at 5pm. Had our packed lunch under a huge tamarind tree . Had Tea at Vivera restaurant near Narketpally. One can buy some fresh veggies too at this place. 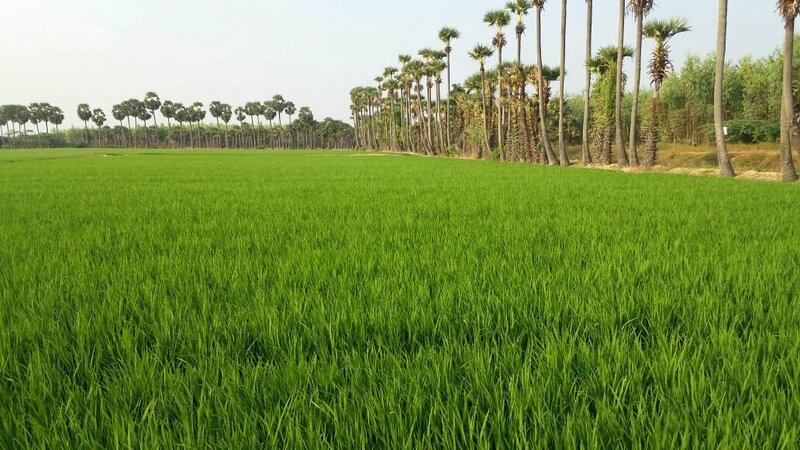 Categories: Farm, Long drive, travel | Tags: Hyderabad, Long drive, Nellore, paddy fields, travel | Permalink. 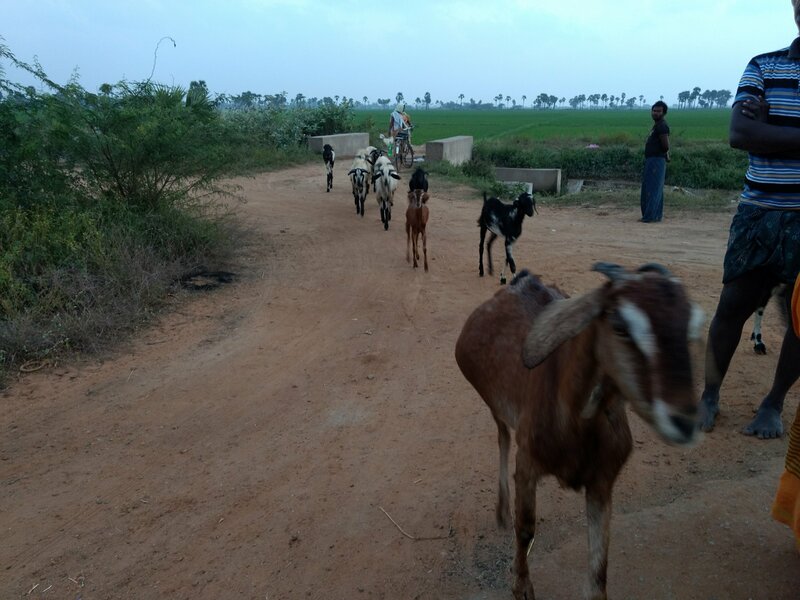 Visited my Granny’s village near Nellore after 3 and half years. Meanwhile the state of Andhra Pradesh got split into Telangana and Andhra Pradesh. Post retirement , about 15 yrs ago , my parents had decided to buy agricultural land around this village . 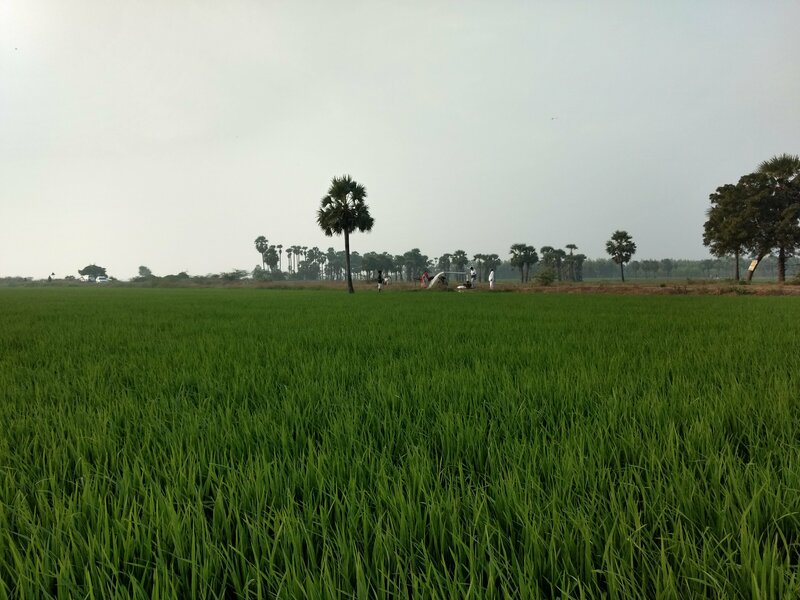 Mom has a green thumb and they cultivate paddy once every year during winter months . So for 4 months they travel frequently up and down from Hyderabad to Nellore almost every week. I and my siblings along with our families get to visit the village during this season. In this visit it was just me with Mom and Dad. Enjoyed the long drive from Hyderabad to Nellore in their ‘Ertiga’. The vehicle is cool .I didn’t feel tired at all . 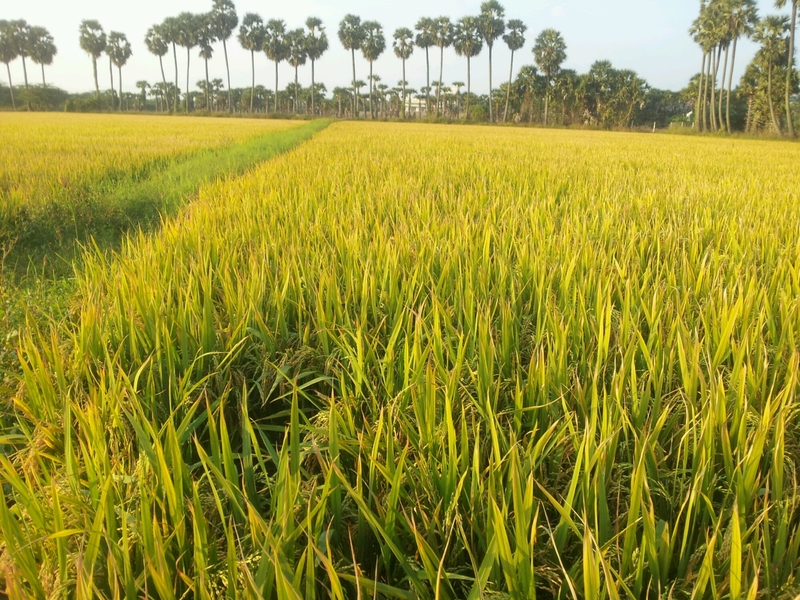 As you can see , paddy turns golden in colour when ripe and is ready to be harvested. 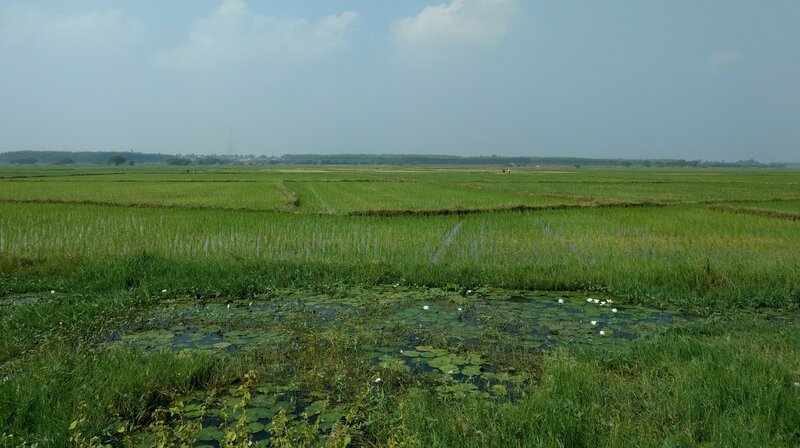 Irrigation is via canals and water is let into these canals from surrounding lakes which in turn receive rainfall during the months of Nov/Dec. At certain places the land is at a higher level compared to the canals and hence diesel sets are used to pump water from the lower level to the higher level . Also visited this 850 year old temple of ‘Sri Mallikarjuna Swami Kamakshi thai’ temple at Jonnawada adjacent to Nellore town. Nellore is also famous for dishes like Chepala pulusu (Fish curry using tamarind gravy) , Kaaram dosa (crepes for breakfast) and Malai Khaja (sweet) . I enjoyed eating Kaaram dosa and bought a packet of Malai Khaja at a sweet store. 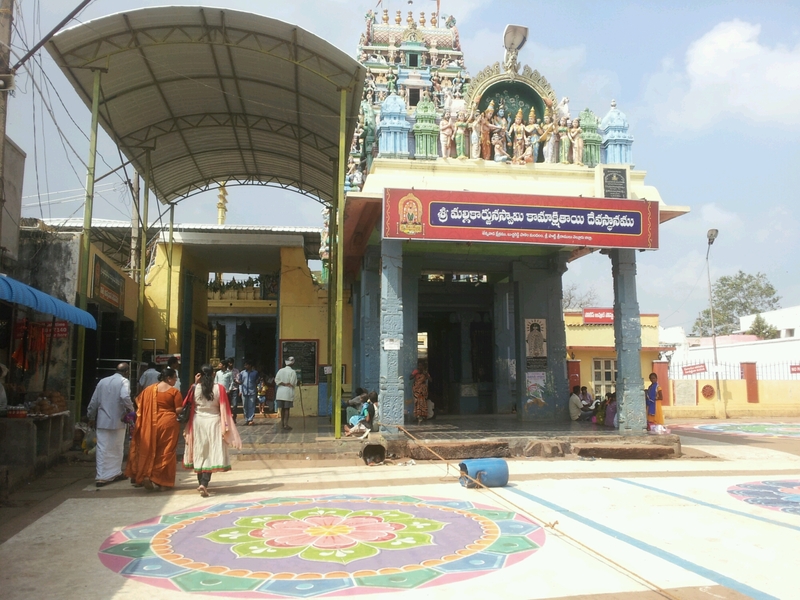 Categories: Uncategorized | Tags: Jonnavada temple, Nellore, paddy | Permalink.